How did Souljar games come about? We were a group of friends and industry developers who met through the wonderful means of social media. Once we encountered each other and started to talk, we knew that we had to produce something together. Facebook. I’d like to elaborate on that further, but the simple truth is that via the social channel of Facebook we met and were able to experience each other’s views on gaming. and design. Jim brings great game design, Jack brings stunning attention to detail and a insurmountable ability to bring red tape together, and Natalya just loves the spirit of social networking. Great games, designed and built by the best companies, delivered to your for your learned and respected consideration. What are the challenges in having your creative team spread out? Communication and understanding; what everyone is doing, where they are at, and bringing the mutli-faceted parts of game design together … and to your mail box … in a manner that is clear and understood by the entire team. This is a big question in many ways. Jim does an excellent job of creating a new game with wholly new mechanics, but then he doesn’t necessarily know where we’re at with the promotion of the same game, or gathering of component quotes, unless we make a strong attempt to communication these facts to each other. And that’s really the greatest challenge: clear communication. What is the design process like for SoulJar? Jim dreams up a game – I’m not entirely sure how he does it – and he pitches it to the team during our next meeting. if we like the idea – and we typically do – we then get a draft set of rules and pieces from him. jack and I play the game through with friend, and at the same time jim is playing with his friends, and together we hash out any tweaks, adjustments, and changes that need to occur. Over a series of months we hash out the draft rules, bring in industry experts, give them a play test, and gather their feedback. Ultimately, at the end of the day, the final game form has had much input and the creative feedback of 24×7 gaming professionals, so by the time we’re ready to crowd fund a game, we know that it’s the best that it can be. What challenges do you run into as an indie game company? 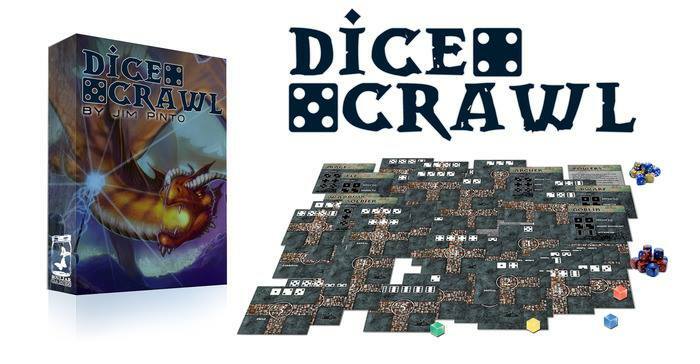 What lead to the creation of Dice Crawl? The desire for a family orientated, competitive game, inspired by the dungeon crawl classics. You ran a very successful Kickstarter campaign for Torn Armor. What was that like? Stressful, but also rewarding. Crowd funding is an artform and the epitome of social interaction, but with hourly feedback when you are getting it right or wrong. There were great highs, but terrible lows. It is a psychological experience more terrifying than going against Cthulhu. What lead to the design of Torn Armor? 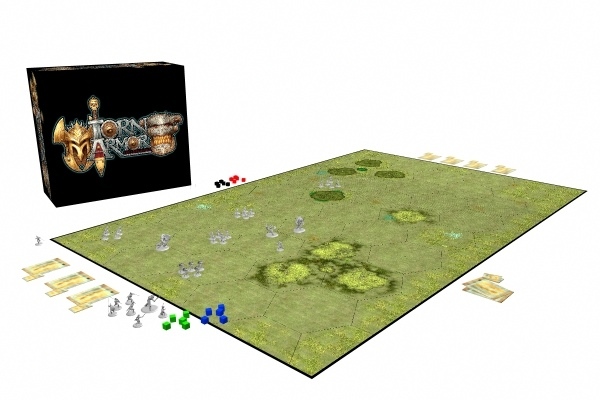 A desire to bring about a quick to learn, low cost, skirmish based game. I love wargaming and I think that it could have a broader audience, but cost, time, and play-area holds a lot of people back. We wanted to design something that was extensible, but also provided an introduction into a much larger genre. Any plans to revisit Gondola? Yes, absolutely. Gondola is a great, family orientated game; who doesn’t like the prospect of racing a gondola through the canals of Venice? 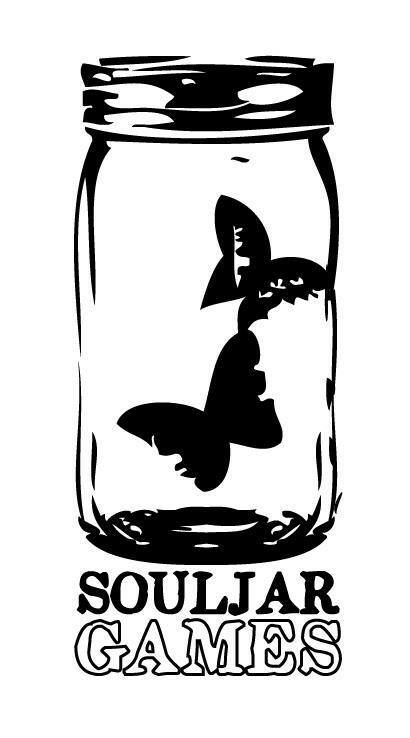 What are your hopes, dreams, and goals for SoulJar? To provide entertaining and unique gaming experiences. What’s on the horizon for SoulJar? 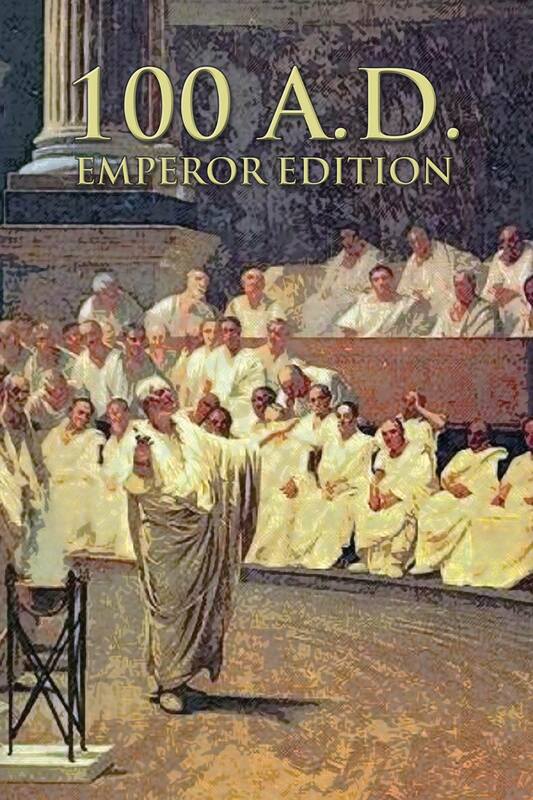 100 AD; a politically driven games in the Roman Empire. What’s the best gaming experience you have had? Honestly, any gaming experience in which you come away smiling, happy, content, and having bonded even more strongly with your friends … that’s the best gaming experience. If we had to choose -as a team – then it would have to be Geekdad playtesting 100AD with us … and wanting to play through to the end .. and winning .. with lots of smack talk along the way. We lost … but it was glorious. What lead you to design games? The joy of games and wanting to give a new and unique gaming experience to the gaming audience. What do you want people to come away with after playing a SoulJar game? Simple to learn, deceptively deep, lots of options, fun to trounce the whole family into the dirt. What keeps bringing you back to board/tabletop/rpg games? This entry was posted in Interviews and tagged 100 A.D., board games, boardgames, Dice Crawl, Facebook, family, friends, fun, GameStorm, Gondola, Kickstarter, Roman, social media, Souljar Games, tabletop, Torn Armor. Bookmark the permalink.